There are a number of things I miss about city living and Whole Foods is one of them. Let me count the reasons why -- Hello amazing salad bar, high quality natural and organic foods, my favorite chai and veggie chips. Oh don't worry there are plenty of other reasons why I love Whole Foods and you should too! If Whole Foods decided to open a location in Tahoe I would do back flips (hint, hint), but until then the hubby and I will continue getting our fix at the Reno, NV store. You can imagine when they contacted me regarding working together I jumped at the opportunity! Plus, I know the hubby loves pizza and I haven't made it for him in months! There's no take and bake at our house. When we indulge in pizza it's always made from scratch with the freshest ingredients and in this case Whole Food goodness. The Whole Foods Market Pizza Supervisor, Matthew Driscoll is a member of the U.S. Pizza Team and he's competing in the World Pizza Games next week. Crazy, right? Lucky us he shared some tips and below recipes to try. Bonus: Want to make a deep dish pizza at home? All you need is a cake pan! 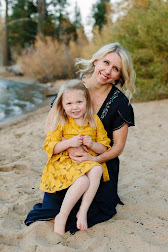 The weather was gorgeous in Tahoe this past weekend so Sunday I invited a few friends over for a evening of pizza, wine and friendly game of bocce ball. Three pizzas and a few drinks later we found ourselves playing Cards Against Humanity and enjoying a few Monster cookies. Combine water and yeast in a large bowl and let stand until the yeast is dissolved, about 5 minutes. Add flour, olive oil, salt, and sugar. Knead for about 5 minutes until the dough is smooth and elastic. Transfer the dough to a bowl lightly coated with olive oil and turn it once to coat with oil. Cover with plastic wrap or a clean cloth and let rise in a warm place until doubled in bulk, 1 to 1 1/2 hours. Chop the broccoli, onion and carrots and place them in a hot, oiled saucepan. Let the veggies cook for a few minutes and then add the tomatoes. Cook for another 5 minutes or until soft. Next add the tomato paste and cook on low heat for an additional 3-4 minutes. Season to taste and let cool. Once the veggies are cool puree in a blender for about 30 seconds or until it’s the consistency of pizza sauce. Grease 2 pizza stones and dust with cornmeal or flour. Punch down the dough and divide it in half. One at a time, flatten each ball of dough on baking sheet into a 12-inch round. To prevent the filling from making the crust soggy, brush the top of the dough with olive oil. Use a fork to push dents in the surface of the dough, to prevent bubbling, and let rest for 10 minutes. 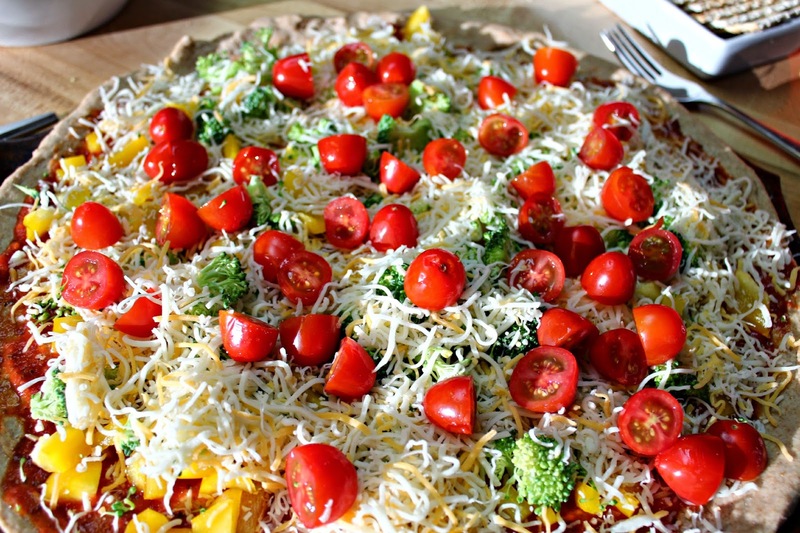 Top with pizza with deliciousness and bake for 12-15 minutes or until the crust is browned and the cheese is golden. 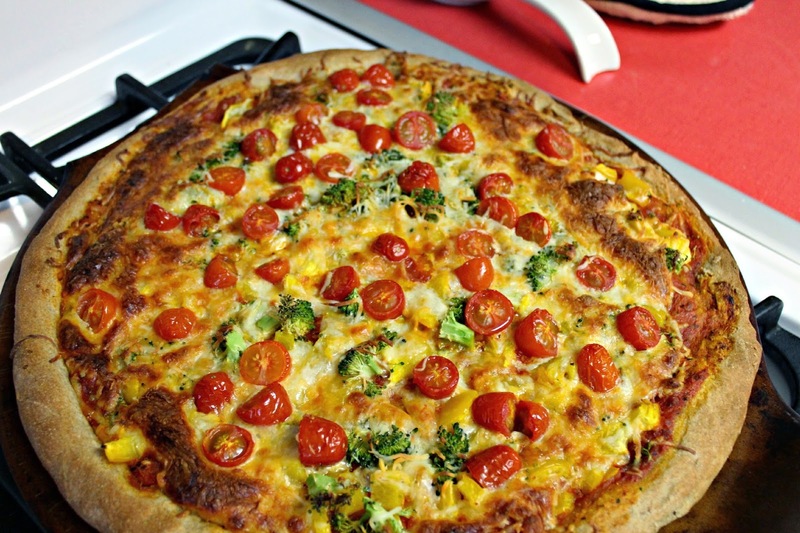 We topped one pizza with a yellow bell pepper, broccoli, 3 cheese blend and a handful of grape tomatoes. Another with sun dried tomato pesto, peperoni, spinach, fresh mozzarella and grape tomatoes. The third was garnished with fig butter, red onion, prosciutto and gorgonzola! 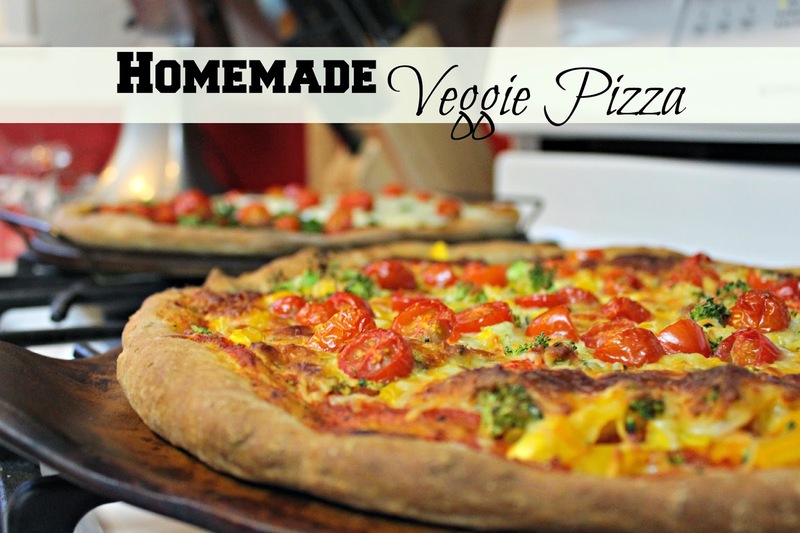 What a lovely pizza, full of delicious veggies. Thanks for sharing at Simple Supper Tuesday. That looks SO delish! And it's pretty haha! It legit looks like it's from a fancy restaurant that serves pizza. Thanks Leeann you're making me blush.